The preservation community mourns the recent death of our colleague Bronson Binger. 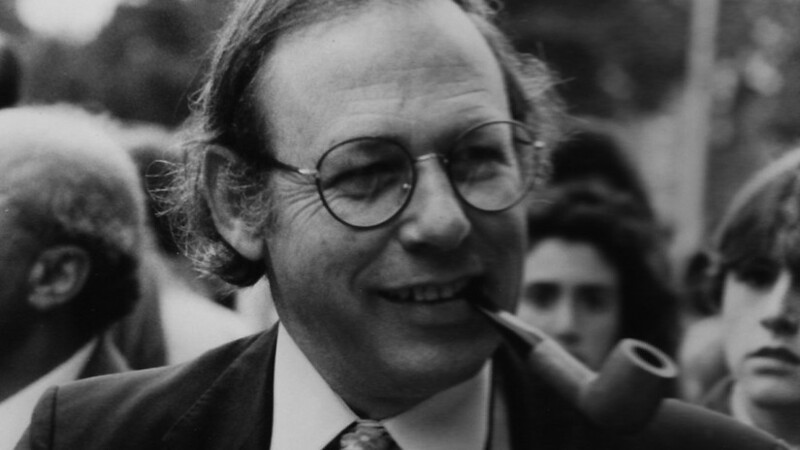 An architect and preservationist with deep ties to New York City, Binger served his city as a leader in public service and activism. He was born in Manhattan in 1930 to a family of New Yorkers active in architecture and civic life; his father Walter was a renowned civil engineer who helped save Castle Clinton from destruction by Robert Moses, and his grandmother was the developer of Turtle Bay Gardens. Following his schooling and army service, Binger settled in Carnegie Hill in 1958, where he quickly purchased two houses, became a neighborhood preservation activist, and campaigned for the creation of a historic district. At the time, Carnegie Hill was threatened by large development proposals, but Binger believed in its future as a historic neighborhood. “I knew that historic preservation was good for real estate,” he said in an Archive Project oral history interview conducted in 2008 in partnership with Pratt Institute’s graduate program in Historic Preservation. “It has to be a positive thing because you are encouraging people to maintain their buildings and upgrade them. And therefore you can also at the same time prevent bad things from happening.” The district was eventually designated in 1974. In 1966, Binger also became involved in the battle to save the old Metropolitan Opera House. After that unsuccessful fight, Binger told the Archive Project, he walked onto the stage as the building was being dismantled and, with plaster falling around him, sang “three loud notes” in order to be the last person to have sung there. During that campaign he joined the Municipal Art Society, serving as head of its Landmarks Committee. In that role he testified at many Landmarks Preservation Commission hearings into the 1970s and helped found the Historic Districts Council. After stints working for the South Street Seaport and a housing organization, Binger joined the Parks Department in 1979 as its assistant commissioner for capital projects. There he led the preservation of many Parks Department-managed historic houses, as well as Central Park, Prospect Park, and Union Square. In the 1980s, Binger began working for the Department of General Services, where he oversaw the restoration of McKim, Mead and White’s Municipal Building, a Beaux-Arts skyscraper that overlooks City Hall. Binger initiated the project, he said, after finding a piece of granite on the street that had fallen from the building’s 25th floor. Binger understood preservation to be closely allied to both architecture and the building trades. Preservationists and architects alike, he felt, should understand how buildings are constructed—an understanding that Binger feared was slipping away as architects designed buildings by computer, and preservation became its own profession. To Binger, this made preserving old buildings even more critical: “I think preservation, in these days, is more important than ever because it does show us what architecture should be,” he told the Archive Project in 2008. Binger died on December 23, 2013. More of Binger’s reflections on preservation, architecture, and his experiences in New York City can be found in the transcript of the Archive Project’s 2008 oral history interview with him.